They are very handy to have in the bathroom to hang wet shower caps or other small items. I have some from many years ago that are getting old and brittle (over 30 years old!). I have found them to be very handy when traveling or to hang hand washables. USE TO BE ABLE TO BUY IN SOME STORES. BUT NOT ABLE TO FIND YHEM ANY MORE.SAW THEM IN YOYR CATOLOG. HAVE TO BUY AND TRY. Great for hanging up clothing/towels/etc. to keep things organized in the camper, as well as drying items in the shower. to hang undies and small items that don't go in the dryer in my laundry room. Great for use on beach vacations to hang wet suits. I hand wash several things and need hangers so they will dry without wrinkles. They are so handy. I have used them for years. super useful; these are hard to find now, but used to be very popular years ago. kitchen, bathroom, & laundry uses. need them, hopefully the hooks will be large enough to go over the shower rod. wish they were in pink! I have used these and found them very handy. Thiese will be good for hanging very small clothing items on the line. For use on my houseboat railings...don't have to string a clothesline. I have looked high and low for these. They are great little hangers for lots of things. Will use them for drying small fabric craft items. This was a great selection for my crafts. I use them in laundry. They break and need replacing. Because I had some of these hangers many years ago, and often thought it would be nice if I could find them to use all these years later!! They are handy for drying small things. Have ordered before. They are just handy for me. I use them to hang my husband's many caps from an over the door hanger I also purchased from Miles Kimball. 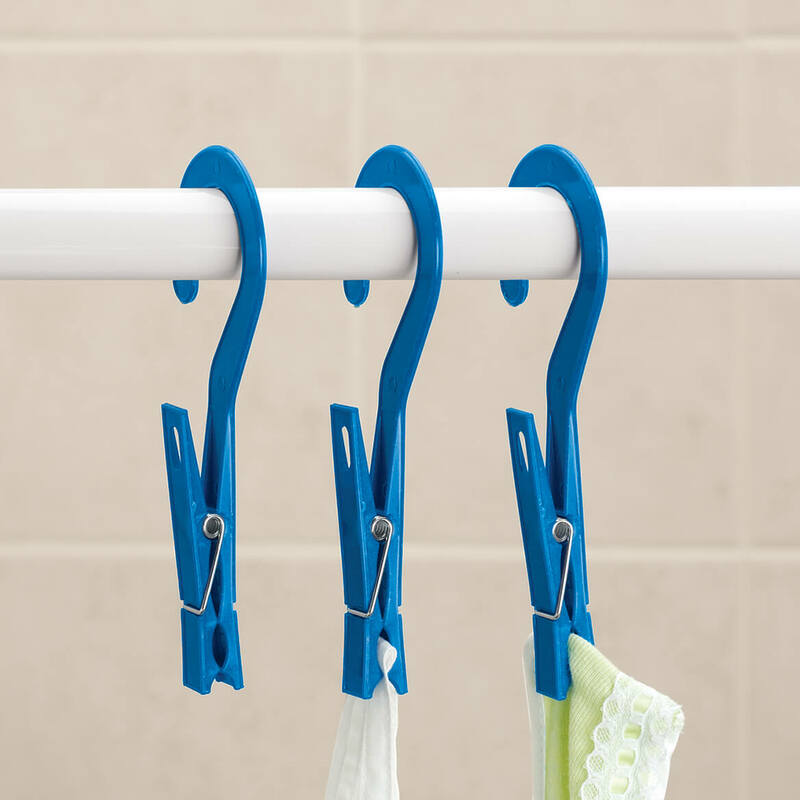 Great hangers for bathroom puff in shower. Excellent for kitchen to hang gloves and good for traveling to hang things in bathroom. To hand my handicap card in truck!!!!! 'Need them. It's hard to find clips with hooks in the stores. They come in sooo handy! 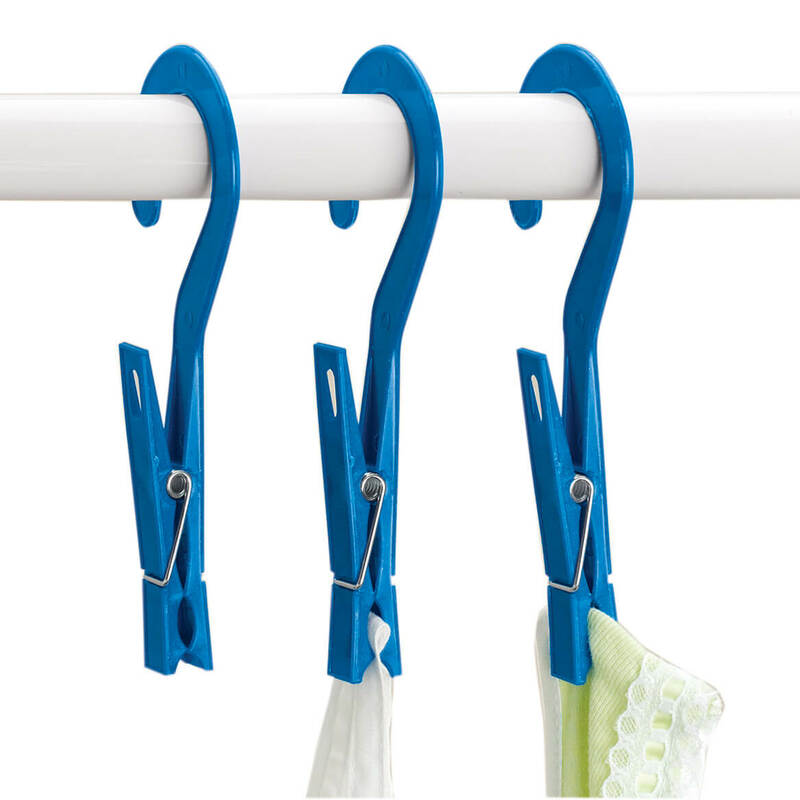 THESE ARE GREAT FOR HANGING SMALL ITEMS TO DRY - SUCH AS PLASTIC BAGS. Great for traveling and washing by hand. They are great to hang purses on in my closet. Have some that are over 25 years old. Very hard to find this item. these are really handy for hanging up rubber gloves to dry as well as other small items. Need for use in shower. It will replace a item I have to hold undies for drying. What is the diameter of the hanger What sized rod will these fit over? BEST ANSWER: Thank you for your question. These will fit a rod up to a 1" diameter. We hope this information will be of help to you.